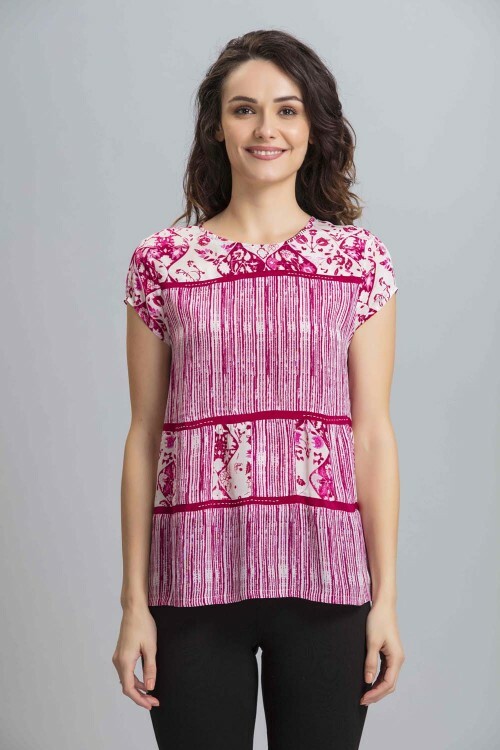 This top looks dynamite in our top seller fuchsia stripes combination. Made in soft crepe viscose it has a relaxed fit with perky cap sleeves. Wear with heels for an evening with your gals or chunky trainers for supermarket glam.